Several elite protégés at PULSE dance convention, numerous awards, and a win for Best Musical Theatre number at this past August’s Industry Dance Awards (for the third year in a row). That smells like success. So how does one studio do it? 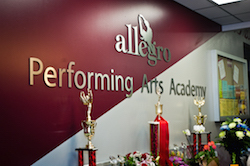 Allegro Performing Arts Academy, located in Kent, Washington, sure knows how. 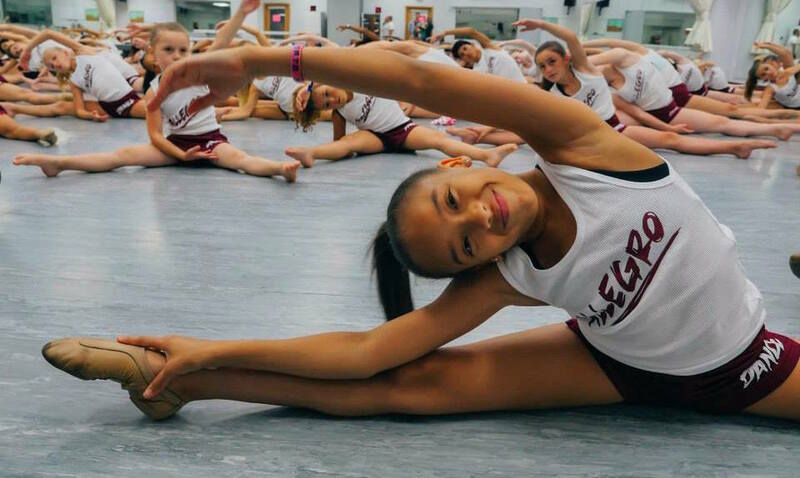 The Industry Dance Awards go to the best competition dance pieces from studios all over the United States, and Allegro Performing Arts Academy, a winner year after year, has been reaping in success. Allegro Performing Arts students performing ‘Can’t take my eyes’. Photo courtesy of Allegro. Tonya Goodwillie, owner and artistic director of Allegro, notes that the studio’s accomplishments are due to “perseverance” and “versatility”. Tiffany Miles-Brooks, co-director of Allegro Precision Dance Company, along with Goodwillie, adds that it’s all about “staying updated”. “And then also just bringing in choreographers from the industry and always staying new,” adds Miles-Brooks. Some of Allegro’s guest choreographers have included Emmy-winning Tessandra Chavez, top performer Gina Starbuck, So You Think You Can Dance’s Abe Obayomi, commercial dancer and choreographer Seth Zibalese and more. As leaders, Goodwillie and Miles-Brooks encourage their studio’s staff to continue to learn and attend teacher workshops, in an effort to stay on top of the industry and to impart the best knowledge to their students. 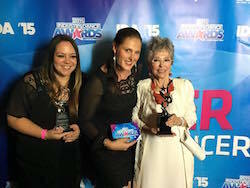 Tonya Goodwillie and Tiffany Miles-Brooks with Rita Moreno at the 2015 Industry Dance Awards. Photo courtesy of Goodwillie. At Allegro, Goodwillie has also assigned different chairs to each of discipline’s departments. Miles-Brooks, for instance, is the chair of the Jazz Department; faculty member Sara Palmer is the chair of the Hip Hop Department. Each week, the department chairs connect, communicate about their students and brainstorm what they can work on, as a collective studio. Allegro’s group of teachers are equally invested in their students and even offer as mentors. Perhaps it is this sense of “team” that has also trickled down to the student’s own desire to progress. Allegro Performing Arts Academy. Photo courtesy of Allegro. Allegro’s most recent big win, the award for Best Musical Theatre number at August’s Industry Dance Awards, actually came as a pleasant surprise. The studio’s number was choreographed by Eddie Strachan for the third year in a row, and still Allegro proved to be on top. And there, Goodwillie possibly suggests one more secret to Allegro’s success: a good, positive attitude and respect for others in the industry. Bravo, Allegro Performing Arts Academy. By Laura Di Orio and Deborah Searle of Dance Informa. Photo (top): A student at Allegro Performing Arts Academy. Photo by John Roque. WIN a Joffrey Ballet School Summer Intensive Scholarship!